We are at the time of the year when it is nearly time to execute our carefully planned home improvement projects. Replacing a garage door may be one of the many tasks to check off that list during the spring and summer. Even though finding the perfect garage door may be very difficult, as there are many styles to choose from, considering the following factors can help you narrow down your options. You want your garage door to enhance your house’s curb appeal and create an impact on the appearance and value of your home. The average median cost of replacing your garage door is roughly $2,300, but the National Association of Realtors has reported that people typically recover up to 87% of this investment when they sell their home. There are four different types of garage doors: those that swing up, swing out, slide to the side, or roll up. If you need to keep your ceiling clear, or if you would like a more distinctive look in your garage, then a garage door that swings out may be your best option. The sectional roll-up door is the most common option for garage door replacement projects. Most garage door tracks require approximately 14 inches of space, so it is very important to measure the distance between the top of the garage door frame and the ceiling or frame of the garage. Garage doors are typically constructed of wood, steel, or aluminum. 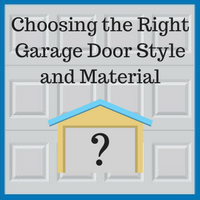 Any of these materials can be used to create a quality garage door, but they each have their own benefits and drawbacks. It is best to compare and contrast each material and decide what would best fit your needs. Wood provides an appealing look for a home, and a wooden garage door can be made in any size that you may need. Wood garage doors are typically made of mahogany, cedar, or redwood, and they can withstand being struck by sports equipment. However, wooden garage doors require frequent repainting or refinishing. If you are looking for an inexpensive garage door which does not require much maintenance, steel may be the best option. However, this type of material tends to rust, so scratches and dents need to be touched up immediately. It may be a good idea to invest in a steel door with a fiberglass overlay to avoid dents and potential rusting. Aluminum garage doors can cost as much as $10,000 for the whole project, but they provide a rust-proof, rugged solution. However, even less expensive aluminum garage doors may meet your needs. One benefit of an aluminum garage door is that the lightweight material will not put as much strain on the operating mechanism of the garage. This makes an aluminum door an ideal solution for garages with wide double doors. Choosing the ideal style of garage door may seem very daunting at first. However, this project does not have to be too complicated. 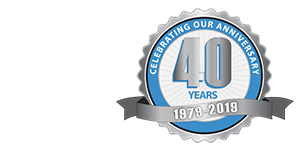 Blue Sky Builders has provided top quality service to our DuPage County area clients for more than 39 years, and we can work with you to select and install a garage door that meets your needs. To learn more about how to choose your perfect garage door, please contact us at 630-852-8485 today. To view some examples of our work, please visit our gallery.